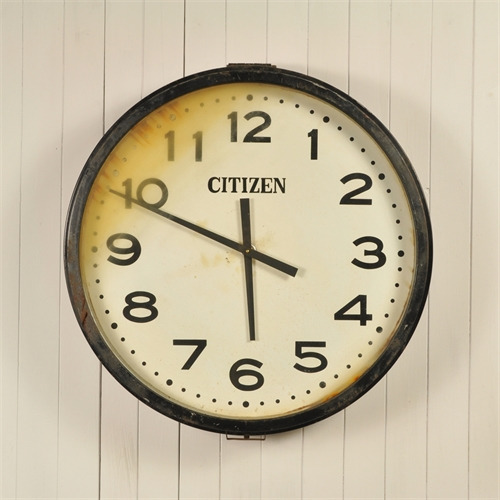 Vintage Citizen Japanese Factory Clock - Original House – Decorative Antiques, Vintage Industrial Furniture and Lighting, Cotswolds. Citizen is a watch manufacturer in Japan that was founded in 1918 and still going strong today. Mostly producing wrist watches they also produced larger clocks and other electronics. This large vintage clock was sourced from a factory in Tokyo - we believe it to be circa 1950's. New high torque german battery mechanism. 77 cm across x 16 d.